In the past few years, Business Process Outsourcing or BPO industry has turned out to be one of the most growing and profitable business of all times. In a glance today India has more than 2.8 million people employed in BPO sector where the annual revenue is marked to be more than $11 billion. The country has a lot of job opportunities in this sector with absolute lucrative salary that attracts specially the young and youthful generations. However, it may be noted that working in BPO, demands that the employees has to work in different shifts since most of the client base are based in multiple countries with different time zone, where one may have to work at night in India to support its clients based in New York where its still day time. Ernakulam district has significant contribution to this industry with establishment of multiple BPO companies in its area. These companies are well reputed with huge prospects for future. They are high-revenue earning companies employing a lot of people of the district. 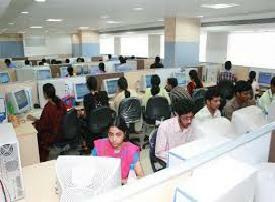 Majority of these BPO companies are working on back office operations of various MNC of the country and abroad. Some of the best-rated BPO companies in Ernakulam are listed below for reference. The list remains furnished with address and contact numbers along with websites of the companies.